The broadcast industry is striving to continually enhance the user experience and generate additional revenue with premium content. One of today’s buzzwords is 4K technology and HEVC, the video encoding standard featuring the compression necessary to transmit ultra high definition (UHD) signals over the given bandwidths of terrestrial or satellite broadcast services. HEVC will increasingly also be used for HD transmissions. In addition to the many trials, initial regular services are being implemented in HEVC, and Rohde & Schwarz is proud to be part of this. In this webinar, three experts will briefly summarize the essentials of the currently dominant encoding standard, H.264, explain the differences between H.264 and HEVC and give some deeper insight into the techniques used in the new high-performance encoding standard, HEVC. The webinar will also relate the experiences made so far with the new standard in the real-world environment of terrestrial and satellite service providers. You will be able to watch the webinar right away after registering. Denis Hagemeier is a highly qualified and internationally renowned expert in the field of headend functionality (A/V encoding, multiplexing solutions, signaling). He has many years of experience in international sales, marketing and product design for the various digital broadcast markets (DVB, ATSC, ISDB-TB, DMB, etc.). 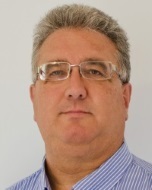 Today he supervises key accounts and projects, recently focusing on 4k/UHD and HEVC. Denis Hagemeier studied media technology, majoring in digital media, at the Ilmenau University of Technology. In 2006 he obtained his degree in electrical and computer engineering. He has worked at Rohde & Schwarz since 2006 and developed multiplexer solutions in the field of DVB-H and for integrating statistical multiplex functionality using H.264 encoders from the Fraunhofer Heinrich Hertz Institute. Initially as a software developer, he then moved into product management for Rohde & Schwarz headend products (R&S®AEM100 ATSC-M/H emission multiplexer, R&S®AVHE100 headend solution for DVB/ISDB-TB, etc.). With Rohde & Schwarz since 2005, he is now active in the business development of headends in Europe, and is responsible for sales, marketing and systems design of ultra high definition (UHD) TV systems, including HEVC encoders, 4K workflows and related T&M products throughout Europe. He is an expert in the fields of HEVC/H.265 compression, DVB-T/T2 and DVB-S/S2 transmission, and for OTT/IPTV and MPEG-DASH systems. 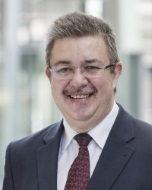 Walter Fischer, who holds a degree in engineering from a university of applied sciences, has worked at Rohde & Schwarz since 1985, first in the development of TV T&M equipment and then in supervisory roles in the software/firmware lab and TV test receiver lab. Since 1999, he has been a full-time trainer in the field of analog and digital broadcasting at the Rohde & Schwarz Training Center. He is responsible for training Rohde & Schwarz sales engineers specializing in broadcasting and also for customer seminars in the broadcasting field. He has held numerous training seminars throughout the world for thousands of participants. In professional circles, he is known as an expert for TV and audio broadcasting. He has published well-known works, including "Digital Television – A Practical Guide for Engineers". 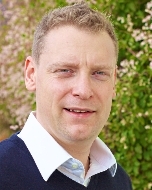 In addition, he is a lecturer at the Munich University of Applied Sciences. 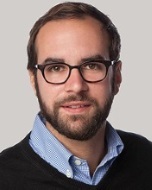 Benjamin Bross is a project manager at the image processing department of the Fraunhofer Institute for Telecommunications, Heinrich Hertz Institute, in Berlin. He received a degree in electrical engineering from RWTH University in Aachen, Germany, in 2008. In July 2012, he was appointed co-chair of the editing ad hoc group and became the chief editor of the H.265 / MPEG-HEVC video coding standard. At the Heinrich Hertz Institute, he is currently responsible for the development of H.265 / MPEG-HEVC compliant realtime encoders and decoders. Benjamin Bross is the author or co-author of several fundamental HEVC-related publications, and an author of two book chapters on HEVC and inter-picture prediction techniques in HEVC. He received the IEEE Best Paper Award at the IEEE International Conference on Consumer Electronics in Berlin in 2013 and the SMPTE Journal Certificate of Merit in 2014.